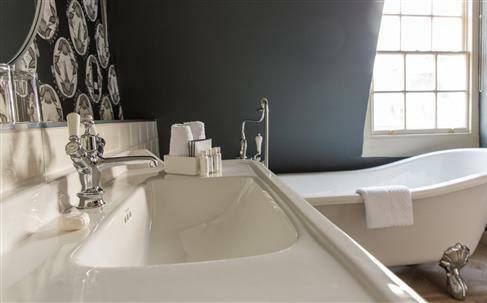 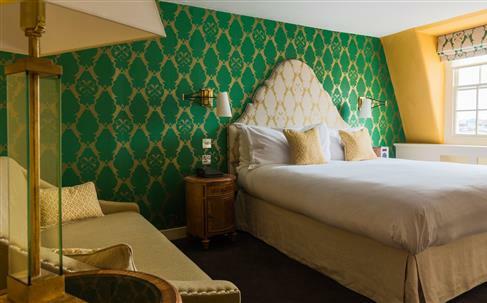 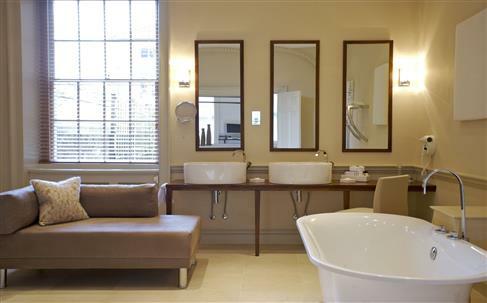 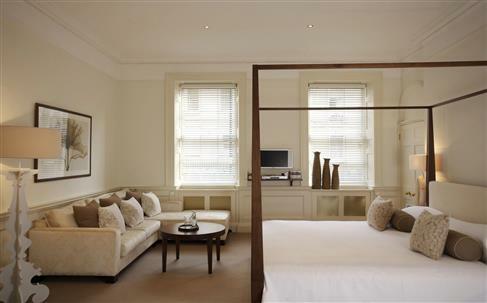 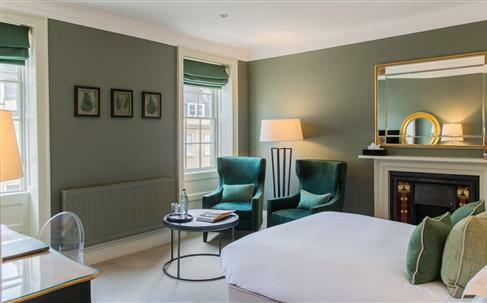 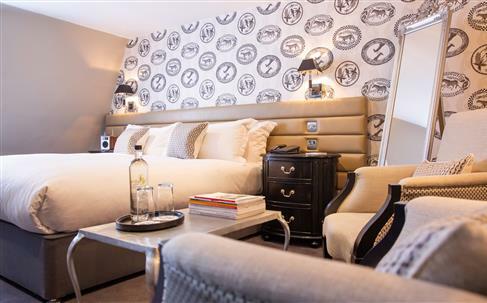 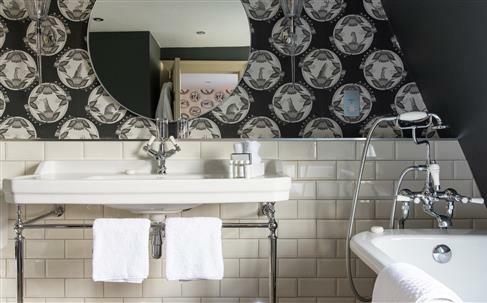 The Queensberry Hotel combines a traditional commitment to service with sophisticated contemporary design and comfort. 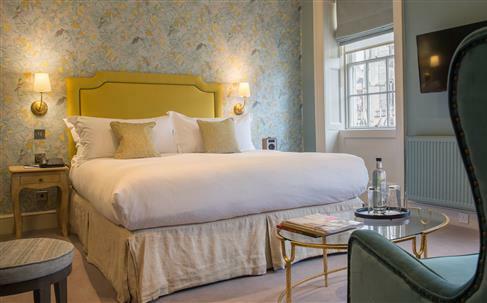 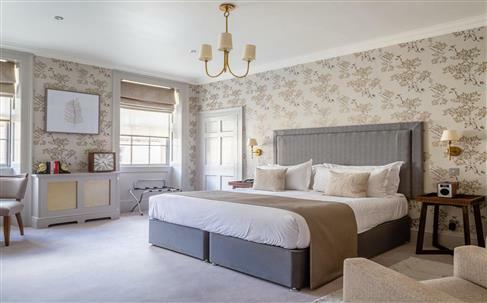 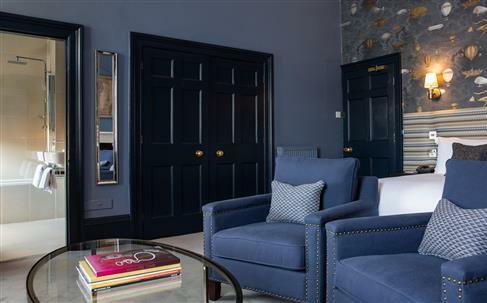 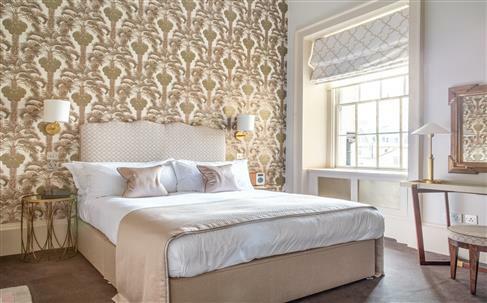 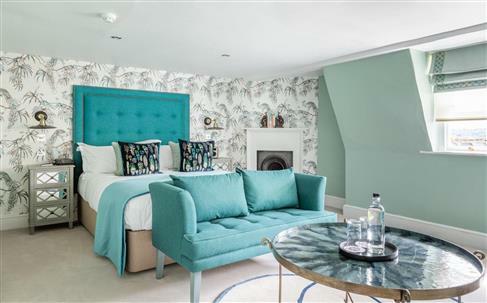 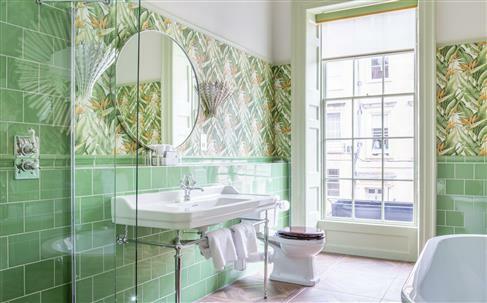 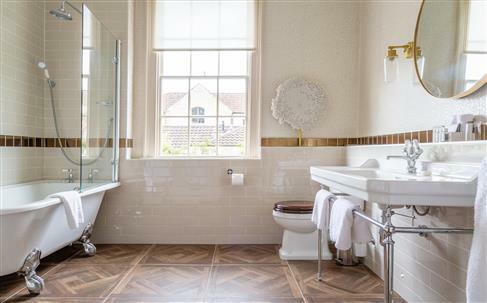 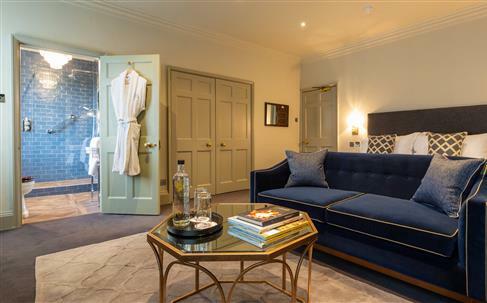 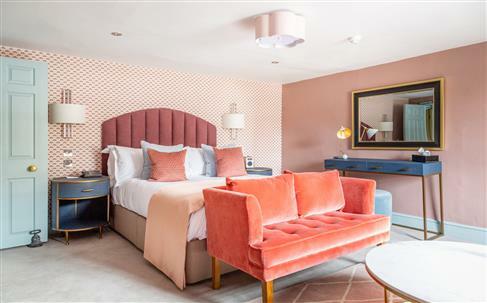 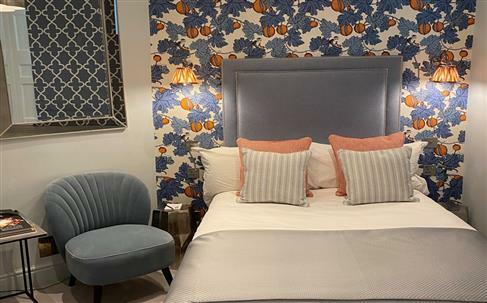 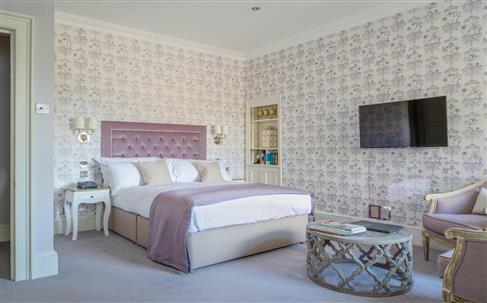 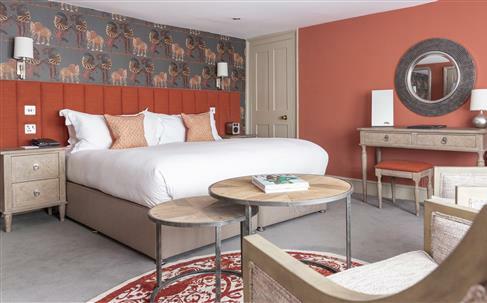 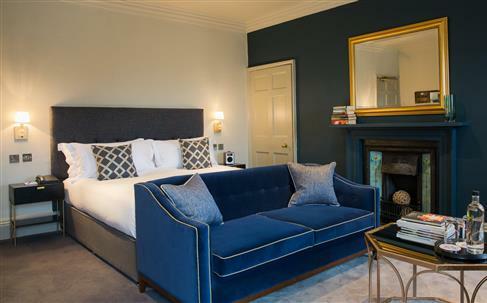 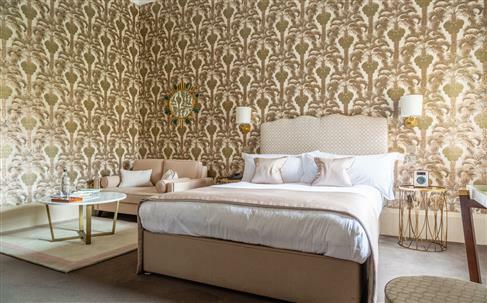 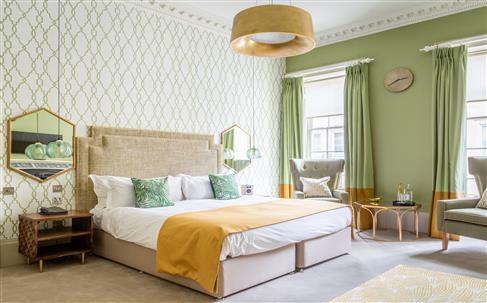 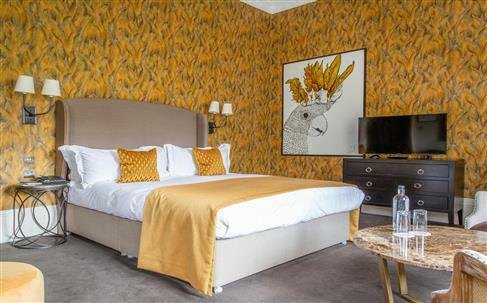 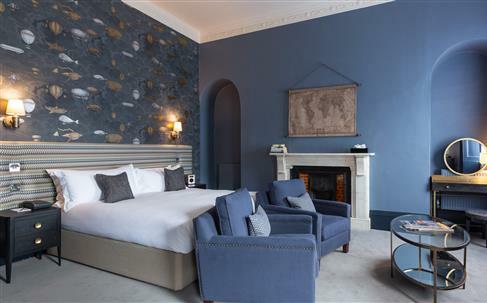 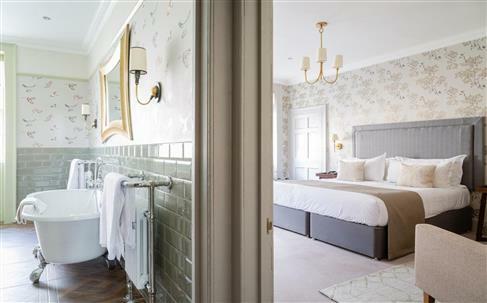 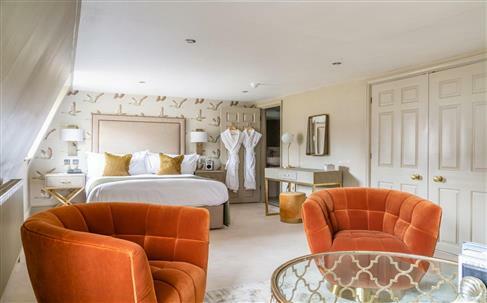 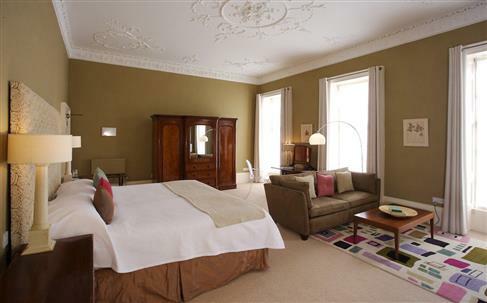 One of the most beautiful hotels in Bath, the Queensberry is privately owned by a husband and wife duo committed to creating an intimate but luxurious ambience. 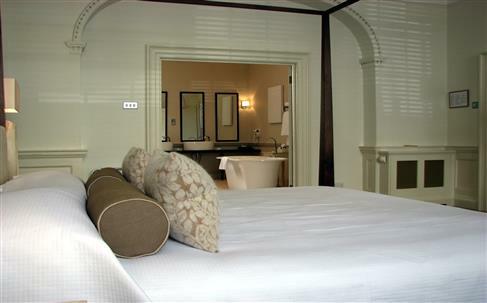 Each room is uniquely designed and decorated. 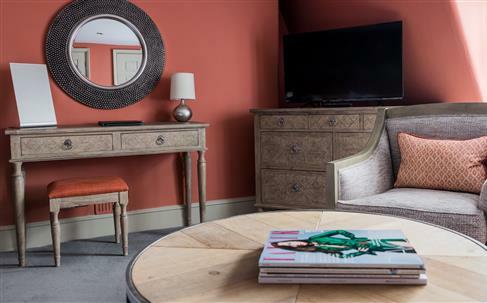 The hotel can also host bespoke, personal events, including business meetings, private dining, and various other functions and parties. 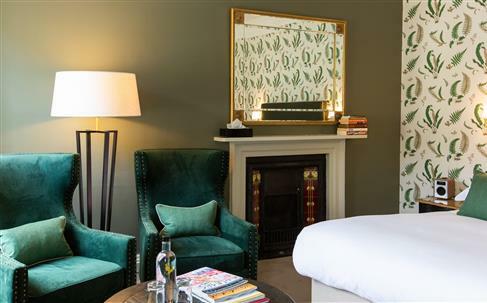 The on-site Olive Tree Restaurant, only Michelin star restaurant in Bath adds to the experience, serving award winning food using local ingredients. 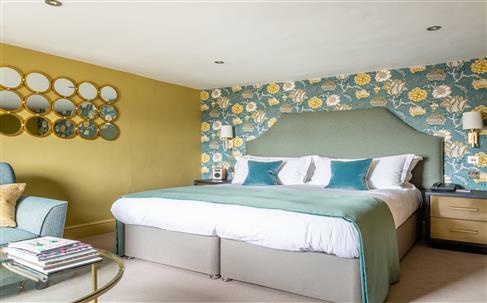 The 3 AA rosette-winning Olive Tree Restaurant is nestled in the basement of the hotel. 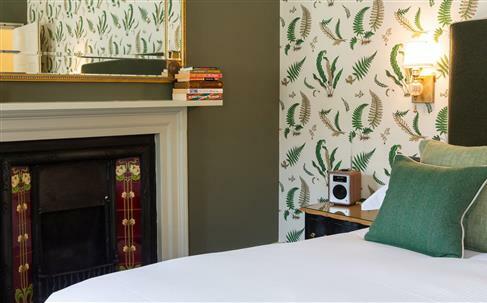 It serves tasty and eclectic locally-sourced dishes. 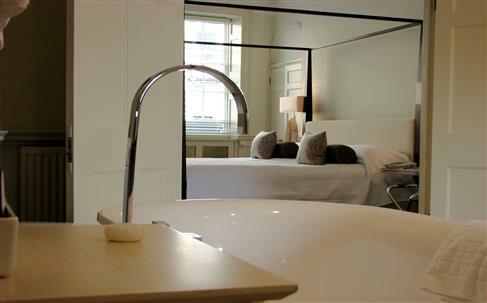 Bath is renowned for its iconic Georgian architecture and eponymous Roman thermal baths. 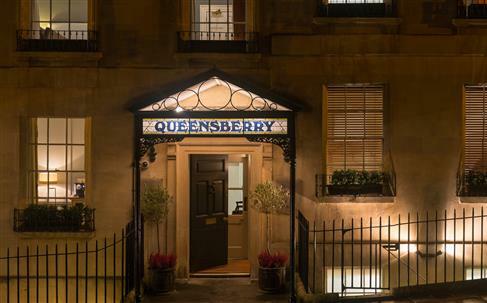 It is a beautiful city, and the Queensberry Hotel makes it its home. 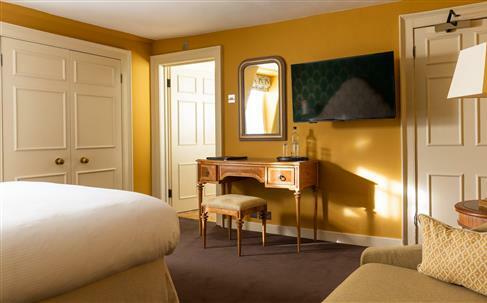 The hotel is close to all the major sights in town, including the picture-postcard No. 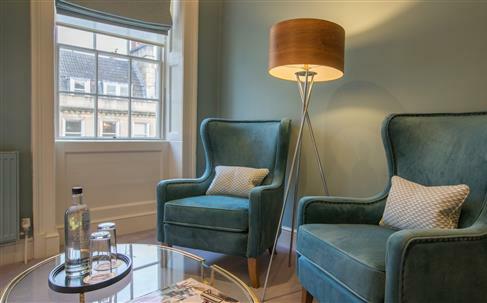 1 Royal Crescent (0.3mi/ 0.5km), Bath Abbey (0.5mi/ 0.8km), the Jane Austen Centre (0.3mi/ 0.5km), and of course, Thermae Bath Spa (0.6mi/ 0.9km). 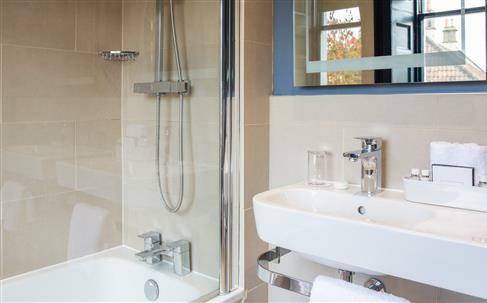 Also nearby are important locations like the University of Bath (1.9mi/ 3.1km), Bath Spa University (4.1mi/ 6.6km), and Bath Golf Club (2.1mi/ 3.4km). 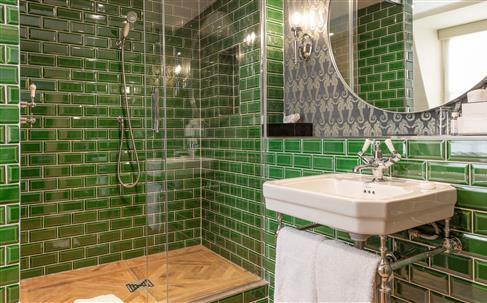 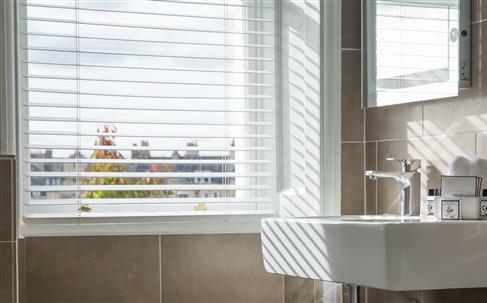 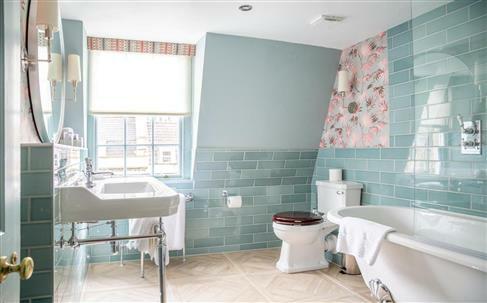 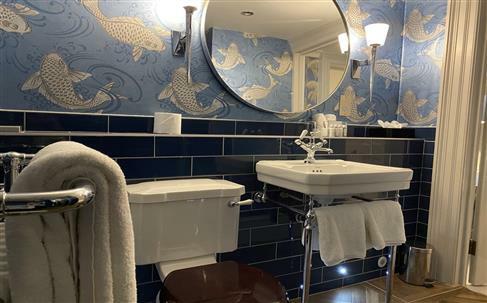 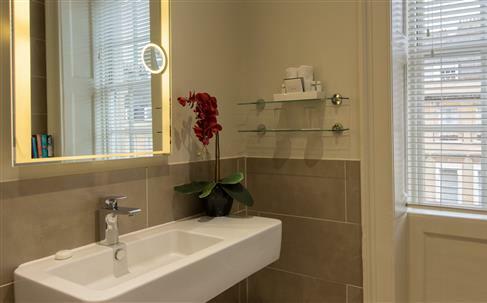 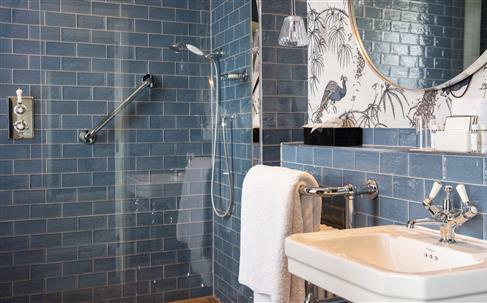 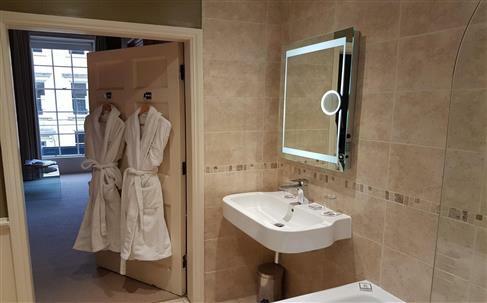 Bath is easy to access: the railway station (1.1mi/ 1.8km) is a short distance away from the hotel, and the M4 motorway less than 10 miles (16km) away. 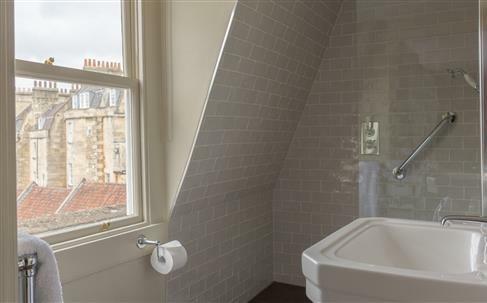 Bristol (12mi/ 19km) is very easy to access, and is home to the nearest airport (19mi/ 31km), but London (111mi/ 179km) is relatively simple to reach by rail and road.